So, you want to go on a river trip but can’t bear that thought of sleepless nights on thin, bumpy, uncomfortable sleeping pads? Rest assured (and really well!) with our Maravia Self-Inflating Sleeping pads. These babies sport four inches (yep, that’s 4″) of thickness via self-inflating pad made of heavy duty PVC (doesn’t rip, is waterproof, and pretty much indestructible). Translation: incredibly comfortable camping experience is all yours. 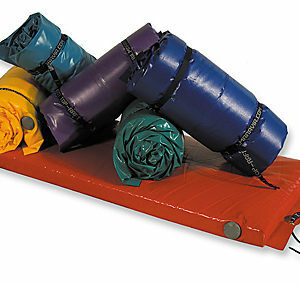 Comes in 6 colors and is really big so you won’t fall off it in the middle of the night.